A compact but strong field of six will test the $1 million Santa Anita Derby (G1) on Saturday. 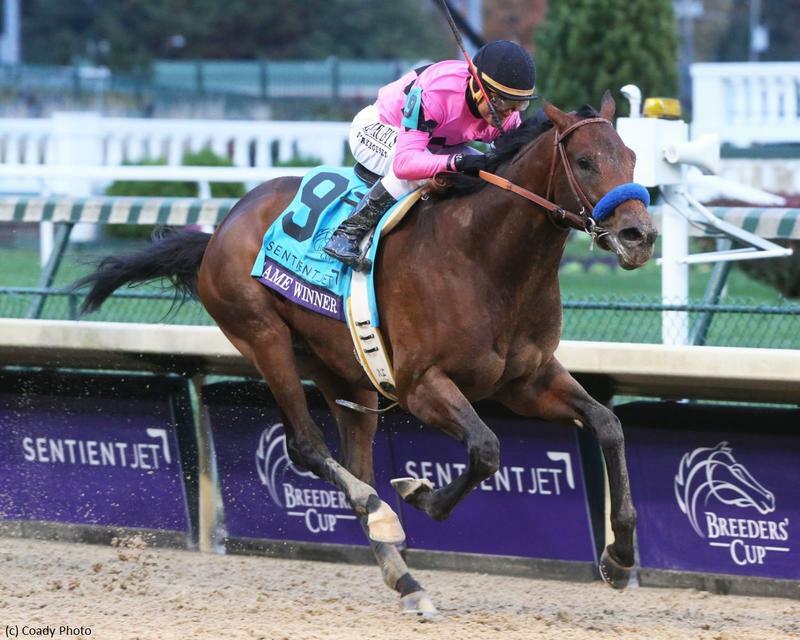 The key Road to the Kentucky Derby event attracted a few serious Triple Crown contenders, and it makes up for its lack of quantity with high quality. The Derby points will distributed on a 100-40-20-10 basis to the top-four finishers. FREE Santa Anita Derby PPs courtesy of Brisnet.com! This sophomore colt was an impressive allowance winner in his three-year-old debut and draws the rail for this event. The Kentucky-bred smoked a bullet six furlongs in advance of Saturday and will be forwardly placed from the start under Mike Smith. The Florida-bred has raced on dirt just once in preparation of this assignment. The El Camino Real Derby third will be doing his best work from off the pace and will need a lifetime-best to challenge this cast. This talented three-year-old was a sharp allowance second behind Roadster in a local prep for the Santa Anita Derby. The $385,000 yearling purchase should appreciate the added ground to work with second time off the layoff. The contender will track the early proceedings. This ridgling debuts for his new connections as a longshot in the field. The Kentucky-bred was a distant fourth in the San Vicente Stakes (G2) most recently and looks to be a cut below his foes at this stage of his development. This Grade 2 star has never run a bad one in preparation of his two-turn debut. The $1.2 million juvenile purchase is the speed of the field and is training in swift fashion for his biggest test to date. He could be the one to catch turning for home. Flavien Prat inherits the live mount. This champion colt was a nose second in the Rebel Stakes (G2) in his seasonal debut and gets a fine draw outside in the small field. The Kentucky-bred was a Grade 1 winner in his lone local appearance and he looms large as the class of the race. The one to beat scorched a bullet six panels to ready for this spot.